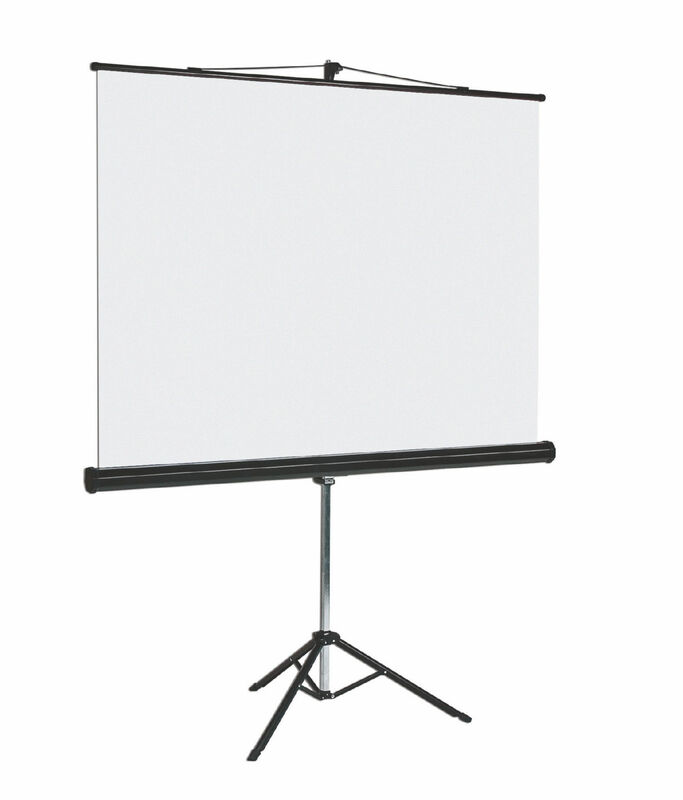 The flame retardant and mildew resistant screen can be adjusted for 4:3, widescreen or square projection formats. 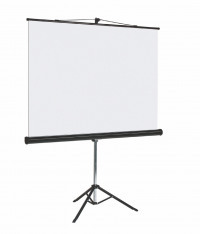 The design features an adjustable screen angle to eliminate the keystone effect from overhead projectors. 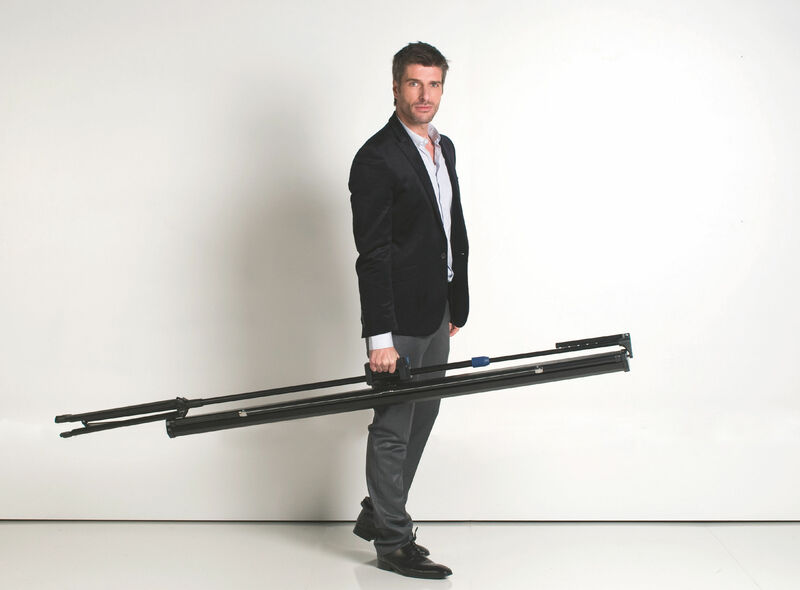 The sturdy tripod base and matte white screen unfold in seconds, and when you are done it is just as easy to pack it back into the sturdy steel case. 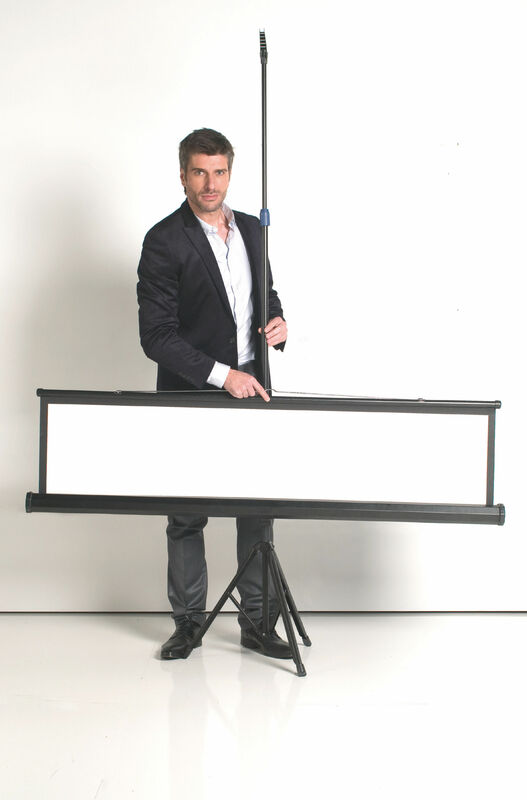 This square screen is 1750mm wide.